The Infinix Hot S3 price in India for the 3GB RAM/ 32GB storage variant is Rs. 8,999, while the 4GB RAM/ 64GB storage variant costs Rs. 10,999. The handset will be available exclusively via Flipkart, with the first sale to be held on February 12. It will be available in Sandstone Black and Brush Gold colour options. 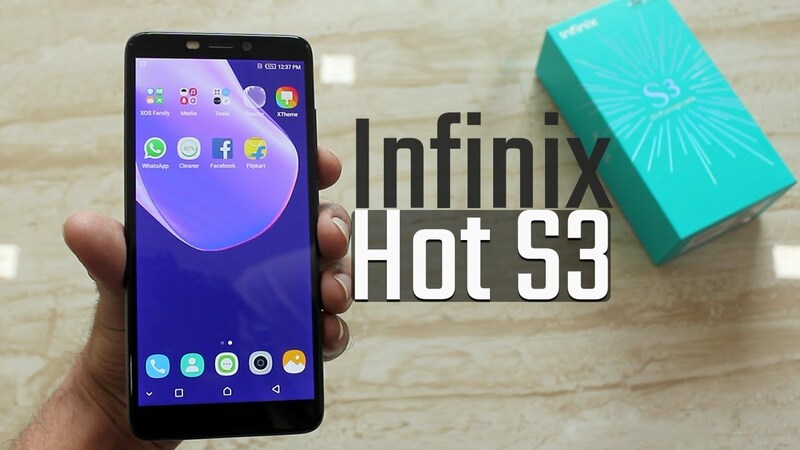 The Infinix Hot S3 is a dual SIM (Nano) smartphone that runs XOS 3.0 based on top of Android Oreo. The phone sports a 5.65-inch HD+ (720x1440 pixels) 2.5D Full View display with a screen-to-body ratio of 81 percent. It is powered by an octa-core Qualcomm Snapdragon 430 SoC, coupled with Adreno 505 GPU and 3GB/ 4GB of RAM. In the camera department, the smartphone features a 13-megapixel rear sensor with PDAF, f/2.0 aperture, 5P lens, and dual LED flash. There is also a 20-megapixel selfie camera with f/2.0 aperture, 5P lens, and dual LED flash. The Hot S3 packs in 32GB/ 64GB of inbuilt storage, expandable via microSD card (up to 128GB). Connectivity options include Bluetooth 4.2, OTG support, Wi-Fi, 4G VoLTE, and a 3.5mm headphone jack. Sensors on the phone include Ambient Light sensor, Proximity sensor, G-sensor, and a rear-mounted fingerprint sensor. There is a 4000mAh battery with xCharge under the hood. Speaking on the occasion, Anish Kapoor, CEO, Infinix India said, "India is an extremely significant market for Infinix and HOT S3 is getting launched in 'India first' before getting launched in other markets."